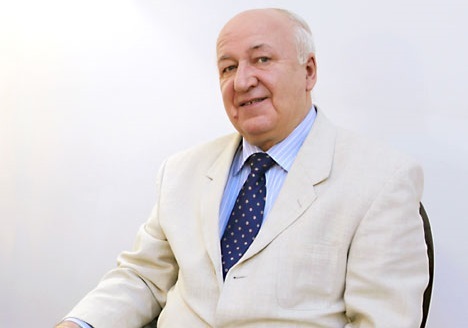 Russia and India are determined to significantly raise the level of bilateral cooperation in order to preserve the heritage of the Roerichs, the Russian ambassador to India said in an interview. Several events will be held next year to mark these jubilees. “As the goal of the anniversary celebrations, we have set before us a series of iconic cultural and scientific events worthy of the special place that our outstanding compatriots occupy in the treasury of world civilization,” the Ambassador said. Kadakin added that the theme of preservation and development of the Roerich heritage figured prominently at the Russian-Indian summit held on October 21 in Moscow. During the extended talks held in the Kremlin between President Putin and Prime Minister Manmohan Singh, the Russian Foreign Minister Sergey Lavrov stressed the need to step up cultural cooperation. This particularly applies to the Roerich estate in Naggar in the Western Himalayas. This centre, which rightfully belongs to the list of unique monuments of Russian intellectual, cultural and scientific heritage abroad, is one of the key projects of cultural cooperation between the two countries. Russia firmly believes that the work being done in connection with the Roerich heritage must have the status of inter-government cooperation. Lavrov believes that cooperation in this area must be carried out within the framework of the Working Group on Culture of the Intergovernmental Commission at the level of the relevant ministries with the mandatory coordinating role of the ambassadors of Russia and India in New Delhi and in Moscow. On the whole, the Indian leadership shares this approach. In an interview with Russian journalists on the eve of the summit and during the negotiations in the Kremlin, Prime Minister Manmohan Singh said that the legacy of Roerichs in India is a valuable joint heritage of both countries. "We will continue to take all necessary steps to ensure its proper preservation and development", he said.